The Pokémart is a store that can be visited in Pokémon Go to purchase special Upgrades and Items. 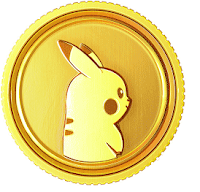 Players can spend Pokécoins on permanent upgrades such as Increased Inventory Space (to hold more Items) and Increased Pokémon Storage (To store more Pokémon). Items such as Pokéballs and Special Items such as Incubators, Lucky Eggs, Incense, etc. are also available for purchase at Pokémarts. Tip: Check out the Pokémart first, to see which Item or Upgrade you would like most and remember the total cost. Next, save up your Pokécoins until you have enough to purchase that Item/Upgrade. Note: Many new players will spend their Pokécoins on the first item they can afford, preventing them from ever having enough to purchase the best Upgrades or Items.